By Eden Law (Fukushima-ken, 2010-11) for JQ magazine. Eden is the current JETAA New South Wales President (in Sydney, Australia) and Australian JET Alumni Association Country Representative, and handles the social media/website side for JETAA International as Webmaster. He also runs the Life After JET podcast. Note: Spelling is always problematic when dealing with international differences. I shall be spelling “Program” the way it is referred to in the book and the title, to avoid inconsistencies. Apologies, especially to any fellow Australians reading this. However, I’ll be keeping my quixotically placed “u”s and “r”s. Created in 1987, The JET Program has brought tens of thousands of young people from around the world to work, live and experience life in Japan. An international exchange program of a diplomatic nature, its aims were to improve global perceptions towards Japan and to internationalised Japanese local communities, all through the format of teaching and improving English skills in schools. Since then, articles and papers about the effectiveness of JET has focused primarily on its impact (or lack thereof) on the level of English language ability on the student population, leading to questions about the feasibility of maintaining the high costs of the program. At least once, the program came close to termination: In 2010, a Japanese government budget review panel called for the discontinuation of JET, before the subsequent administration of Shinzo Abe saved it, setting the agenda for expanding numbers in the lead-up to the 2019 Rugby World Cup and the 2020 Tokyo Olympics. More positive literature exists, of course: David L. McConnell’s Importing Diversity: Inside Japan’s JET Program, published in 2000, is the most well-known example, written by an academic who was once a JET participant. Seventeen years on, Emily T. Metzgar (Shimane–ken, 1993-95), herself also once a JET and now an academic, has penned a follow-up of sorts, entitled The JET Program and the US-Japan Relationship: Goodwill Goldmine, which, as described in its title, confines its evaluation of the program on its international impact in relation to the United States and Japan. 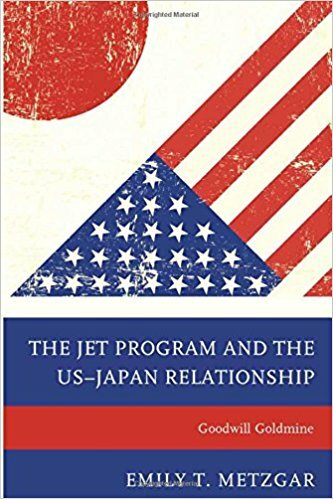 The JET Program justifies its restricted focus on this bilateral relationship on its assertion that the program was originally created with the United States in mind as the first target for Japan to improve its international image abroad. Statistically, 50 percent of the total number of participants throughout the program’s history have been sourced from the United States (and in an impeccable sense of timing, the book arrived on the eve of the program’s big 30th anniversary celebrations and JETAA conference in Washington, D.C., featuring Metzgar as one of the headline presenters). Commentators seeking to put a more positive outlook on the program’s accomplishments have had to look outside of the hoary old topic of education. The JET Program settles on examining how it worked as a “soft power” initiative for Japan’s global image (the topic of how JET fared as an internationalisation agent of Japanese local community is, as Metzgar says, best left “as a promising research topic for an ambitious doctoral student,” though she does comment on these other aims later on). For those wondering, yes, the book argues that JET has been enormously successful in this aspect. Examples are plentiful in The JET Program: recalling the threat of JET’s culling high-profile American JET alumni in organisations such as the American Enterprise Institute (AEI) and JCIE/USA defended it by referring to its “soft power” success. In other less fraught periods, the book cites senior members and policymakers of both governments who spoke positively of JET’s contributions to their countries’ relationship, implying acknowledgement of the same thing. Having established that as its main analytical focus, however, The JET Program admits to the challenges of properly measuring JET’s effectiveness as a soft power tool, given the lack of a meaningful and mature theoretical framework in academia for a hard-to-quantify element. But it tries at length attempt to construct one anyway, and without delving too much into it, The JET Program points to JET’s method of inserting participants into local communities for a long-term period as the key to its success of creating willing cultural ambassadors for Japan, allowing these individuals to formulate an unforced, nuanced and usually positive view of the country and its people through an “authentic” experience that encompasses both the good and bad. Where this would translate into success for the JET Program experience is if the participants, upon returning home, would influence attitudes in general to Japan in a positive way. To prove that this has been happening for three decades, The JET Program turns to analysing the collective alumni experience based on a survey of over 500 respondents, measuring how persistent their favourable views were over time, how their experiences in Japan continue to impact their lives, and how active the alumni are in sharing their views (described as “opinion leaders” in the book) about Japan in general. This latter metric is important to the other major point that The JET Program wants to make: that the influence of these alumni is an important (and underused) resource to be utilised—the titular “goodwill goldmine.” The survey data that is relied on, though, is admitted by the author to be problematic, as it is self-reported and is not of the qualitative standard normally expected from studies of this nature. Despite the acknowledged issues with the data, The JET Program’s interpretation of it is a generous one. Mild positive responses like “somewhat true” are included in glowing statistics that otherwise indicate a high level of positive engagement. And when it comes to speaking of alumni influence, the book’s enthusiasm can result in some moments of self-indulgence. For example, The JET Program suggests that the general positive attitude of mainstream America (as found in an independent newspaper survey) toward Japan might be due to the positive influence of returned alumni—a wonderful idea if true, but ultimately pure speculation in the absence of proper qualitative data. These moments take away from the construct of the book’s arguments. Having established this source of said goldmine, the focus then shifts to the American alumni’s history and activity. This makes for some fascinating reading when touching on the genesis of the global JET Alumni Association, though the overview soon moves to a more local version of the story. In summary, the book’s narrative of this topic recounts the challenges faced by numerous American chapters in their alumni outreach and access to resources and communication, along with the problems and other concerns (including a perceived need for a degree of independence from CLAIR, the funding body) that lead to the formation of USJETAA as a legal, non-profit entity—which is heralded by The JET Program as a much-needed umbrella group that will help realise the true potential of the American alumni network. It is at this point that the book becomes problematic: The subjectivity that hovered at the edges of previous chapters become quite apparent, and the book’s treatment about the alumni and USJETAA feels a little one-sided and less thorough in its analysis. While the formation of an organisation like USJETAA is unique and objectively a high accomplishment, The JET Program surprisingly gives a rather shallow treatment of the subject. For example, though USJETAA is a relatively new organisation, its actual operation and how it has since lived up to the ambitions of its creators are not painted in detail, which includes how it has since dealt with the ever-present challenges that alumni chapters face mentioned in the previous paragraph. While criticising the lack of the Japanese government’s support of the chapters and record-keeping of alumni (which has been admitted, according to the book), the analysis does not extend to specifying how this identified “goodwill goldmine” should now be utilised. Concluding its narrative neatly with USJETAA as a neat little bookend seems overly simplistic and rushed—quite a contrast to the preceding chapters which displayed a degree of care and consideration in laying out its framework (on a sidenote, this is not helped by a glaring mistake found in the copy this review is based on, where CLAIR’s full title is mistakenly given as “Council of Local Authorities for International Affairs” rather than “Council of Local Authorities for International Relations” (pp. 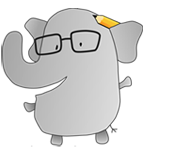 150). In summary, the case by The JET Program for the success of JET itself as a soft power tool is a compelling one, aside from a few problems in how it argues its case. Its analysis is marred by some subjectivity and speculation, and calls for greater involvement of the American alumni, at least through its chapters or the USJETAA body, in the interactions between the United States and Japan. As a treatise on The JET Program, the book is not an in-depth analysis of the effectiveness of JET—indeed, faults exist. But as a record, it presents a fascinating picture of the US alumni body at a point in its history as it attempts to evolve beyond its confines of being a social group for like-minded people who shared a common experience, and provides insight into its ambitions and methods at self-promotion (which will no doubt include this book). While focused solely on the American experience, the outline of the history and intention behind the JET Program’s creation is a fascinating and illuminating one. One hopes that this book will be the start of the conversation and academic study on JET’s other accomplishments and help complete the picture of a fallible but venerable institution—and that somewhere, an “ambitious doctoral student” is already beginning work. For more on Goodwill Goldmine, click here.